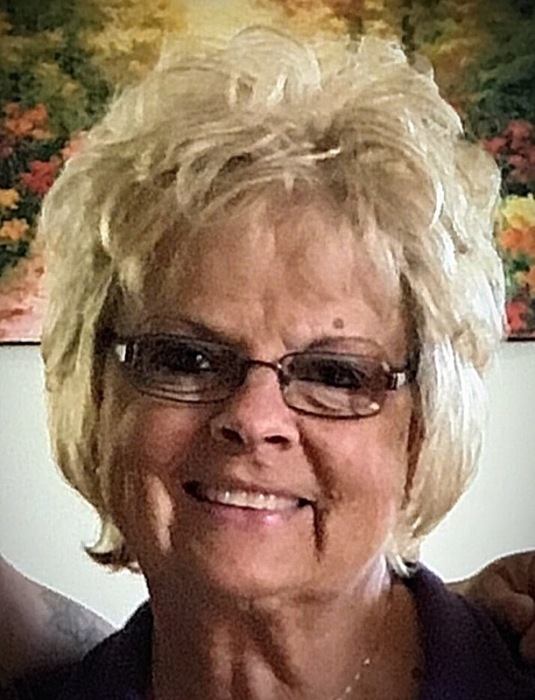 Vickie L.Trisel, 69, of Van Wert, passed away at 6:16 a.m., Thursday after an eight-month battle with colon cancer. She was born on February 11, 1950, in Celina, the daughter of the late Loyd and Dora (Krick) Simpson. On November 12, 1966, she married Danny L. Trisel who survives. Other survivors include her children, Tracy (Stephanie) Trisel of Van Wert and Teresa DuCheney of Middle Point; a sister, Sharon (Jim) Hamilton of Mendon; five grandchildren, Dirk DuCheney, Danyelle (Austin) Eutsler, Drew (Bailey Ripke) DuCheney, Spencer (Bailey Stegaman) Trisel, and Davis Schwartz; three great-grandchildren, Tatum and Tyce DuCheney, Novaleigh Eutsler, and a great-grandson due in May. Vickie was a 1968 graduate of Mendon-Union High School and a member of the Mendon First Church of God. She had worked at the Times-Bulletin for 25 years and at the Bureau of Motor Vehicles in Van Wert for five years. Vickie was a great fan of her grandchildren’s sporting events. She enjoyed caring for her flowers and sewing. Preferred memorials are to the Mendon First Church of God.